Inspired by the unique know-how of the Special Lenses Unit (SL Lab) in Ligny-en-Barrois (France) and the artistic possibilities offered by the optical lenses, Claire Deniau, a French painter who lives and works in Singapore, has made works incorporating 23 special mineral lenses with unique geometries made specifically for these creations. This unprecedented collaboration highlights the link between art and vision. This collaboration is a unique experience for Claire, but also for the SL Lab teams in Ligny-en-Barrois. ​“It’s a great way to showcase the exceptional know-how of the Essilor Special Lenses Laboratory, and the SL Lab teams appreciated and were touched by the artist’s vision of their work,” commented Stanislas Poussin in charge of the Special Lenses Unit activity, Essilor. Essilor is a different company, improving lives by improving sight & allowing us to see the world differently. 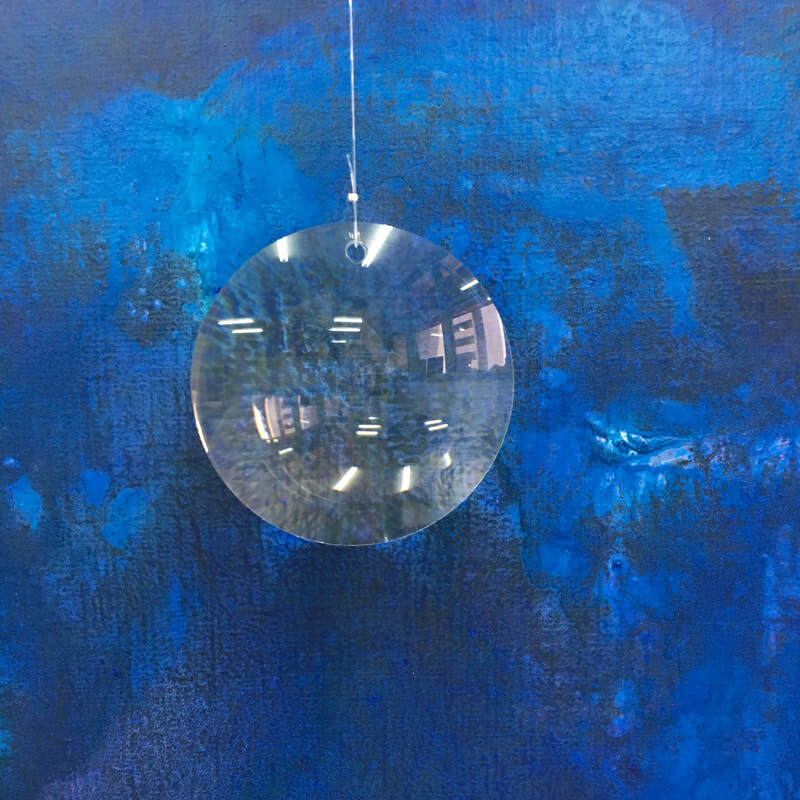 Claire Deniau’s artworks are based on the transparency and purity of the mineral lenses, which, placed in front of a painting, bring a new dimension due to the magnifying, deforming or narrowing effect they produce. The viewer is invited to immerse into the works through the prism of special lenses to admire the smallest details and feel the emotions caused by the paintings fusion of colors, materiality and gesture; an invitation to trigger the imaginary. Painting is at the heart of Claire Deniau’s practice. Her fascination stands from the subtle balance created between the presence of the painting’s materiality, and its unpredictable emotional effect. ​The artist has carefully developed her own technique: the handling of the canvas allows an interplay of textures, which often replaces the brushwork. The evanescent strokes and layers, cracks, scraped impasto, colour experimentation, everything is played out to create this particular space between the visible and the invisible. Claire Deniau intentionally plays with the relationship between the trio painter/painting/ viewer. This exhibition is a reaction against the viewer’s disconnection from a physical interaction.